Update: Unfortunately, the company behind Ricardo’s Casino was sold. We have no idea who is the new management behind the brand and therefore we cannot recommend Ricardo to our visitors. If you were looking for a reputable casino with a nice no deposit bonus, you can find 3 great brands below. All of them are US friendly. Ricardo’s Casino is a new Rival brand that is focused on US, French and Australian markets. The casino offers 200 casino games, including 150 slots. New players can enjoy a 400% welcome bonus up to $/£/€ 2000. These days you can try this Ricardos casino with a $/£/€ 7 no deposit bonus. 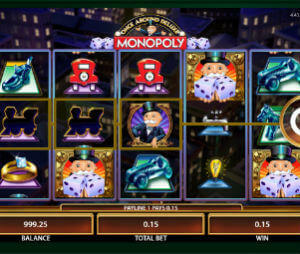 Ricardo’s casino has a great variety of games for slot players to enjoy. You won’t find any 3D slots here, but you will get great array of 3 reel classic slots, 5 reel video slots and Rival’s special i-Slots. Few popular names that we would like to mention are As the Reels Turn, Reel Crime, the Spy Game and the Cosmic Quest slot, which happens to be one of the loosest slots online with 98% payout. Other games include 7 versions of Video Poker, Blackjack, Baccarat, Craps, Caribbean Stud, Roulette, Bingo and Scratch Cards. All the games can be played by downloading the casino software or using the flash, no download mode. Unlike in most casinos, the flash version is very nice and friendly. The only downside is that the variety if games is a bit lower. Ricardos Casino offers a very high welcome bonus package, which is focused specifically on slot machine players. The drawback of their high percentage promotions is various restrictions which we will specify below. New players can take advantage of a 400% bonus up to $/£/€ 2000. On top of that, you will be credited with 100 Free spins once you have completed the welcome bonus. This is a slots bonus and can be wagered only on slots (non progressive), keno and scratch cards. You need to wager bonus and deposit 35 times and you need to do it on 7 different games. The bonus has 2 rules that you need to pay attention to. maximum cashout of 3 x Bonus plus Deposit. Meaning if you deposit $100 and get $400 bonus, the maximum amount you can cashout is $1500. maximum bet per spin of 10% of the deposit. Using the previous example – the maximum bet per spin is $10 (10% of $100 deposit). This rule is applies to all Ricardo’s bonuses. On your second deposit you will get a 300% up to $600 with maximum cashout of x5. There are additional bonuses available in the cashier with lower percentage, such as 100% match bonus – the advantage here is that you don’t have any cashout limit. New and existing players can enjoy a nice weekly and monthly cashback bonuses: 20% weekly cashback and 10% monthly cashback. Nowadays, you can get 7 $/£/€/AUD no deposit bonus to try Ricardo’s Casino. The bonus has very high wagering requirements (*60) and the chance of winning are not high, but it’s still a nice way to check it out. The maximum withdrawal is 35 $/£/€. *Maximum bet per spin is 10% of the Free Chip and you have to play more than 10 different games. The variety of of banking methods is relatively limited, but it does cover all the popular credit cards and e-wallets. The minimum deposit is 20$/£/€. The withdrawal limits are set on $/£/€ 4,000 per week and $/£/€ 16,000 per month. The withdrawals are processed within 3-5 days. Don’t let the strange looking landing page put you down. The mobile casino software is nice and friendly. The variety of games needs to be improved, but still there is enough to keep you from getting bored. Currently there are 30 mobile slots, 3 reel, 5 reel and a dozen i-Slots. Other games include Video Poker, Blackjack and additional casino games. Ricardos casino is a nice new Rival brand. With high variety of games, high deposit bonus and nice cashback promotions, it is a great destination for online slots fans. The only thing you need to pay attention to is the bonus terms.